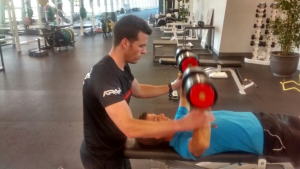 APA is a company that has built it’s reputation on being the Industry Leader in S&C training for Tennis, which is why we get to work with pro players like Alijaz Bedene, Ed Corrie and Dan Cox, as well as a whole host of pro players hungry to follow in their footsteps! So now that we have a Top 100 tennis player on our books and many more pros fast on his heels, it makes me ask the question…………………. All of our coaches are Tennis specialists. It is what we do. All our coaches understand that coaching is about more than our knowledge. Yes all our coaches are highly qualified, know about correct exercise technique, nutrition and writing programmes etc. but we also believe in coaching the person as well as the athlete – we go the extra mile to really get to know our clients beyond the hour-long training session so you stay committed. Now, if you read the last post on Andy Murray you’ll know I promised to follow it up with some insights on working with Alijaz Bedene. 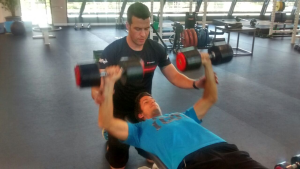 I’m delighted to say that Alijaz’s S&C coach Martin Skinner has agreed to write a guest blog. In this blog he will share some insights on how he gets the best out of not just Alijaz but any client for that matter. It links really well to the point above on coaching the person as well as the athlete. 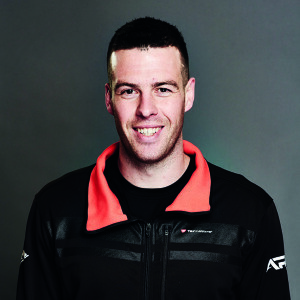 My name is Martin Skinner and I’m a Strength and Conditioning (S&C) coach currently working within tennis. I’ve been lucky enough to work with one of the best teams in British tennis at Gosling International High Performance Centre, which is in my opinion cultivating some of the best young coaches in the country. Tennis director Matt Willcocks, who gave me my break in tennis in 2008, spotted my potential and gave me the opportunity to start my career within tennis for which I’m forever grateful. I started off learning my trade as the apprentice of Daz Drake whom has been very knowledgeable and a great mentor over the years. The guidance of both Matt and Daz has shaped my coaching philosophy to what it is today. That’s not to say it isn’t still evolving, however the values these two people have given me never change. I started my S&C career just like most people having only a few hours of S&C work a week with predominately U12’s and some juniors whom were as keen as I was to improve and learn. 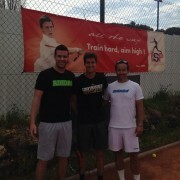 From these few hours a week I began to work with some full time players, that is where I got my break in S&C. As soon as you get an athlete whom you can work with more than once a week the rate of improvement will rocket if you seize the opportunity. These are the small gems that get you noticed by other coaches and parents and to cut a long story short this is how I have ended up coaching where I do today. That’s a little snap shot of how I was given the opportunity to become a full time S&C coach. I had never envisaged that today I would be writing a blog to other aspiring S&C coaches, so for this opportunity I’m very humbled and grateful and I hope you find this useful. Many people are excited by what happens in professional sport and what goes on behind the scenes with elite athletes and teams. I will attempt to give you an insight into what I’ve found makes the difference to a tennis player’s performance. Aside from having a very effective and consistent physical pre-season, there has been an ongoing underlying factor that cannot be tested during any fitness test. This was the coaching of the person, not the player and instilling belief. These are probably things you have heard before? If not! Then in my opinion these two factors are single handedly, the most important when coaching an athlete. They are not only the metaphorical “icing on the cake” but are key ingredients to the whole cake. I will now attempt to explain how I utilize these two ingredients with my players. Firstly what I mean by coach the person and not the player is you must start to understand how the “Beast” operates throughout their daily life. This will allow you to be able to change their performances on the practice court, gym and most importantly be more effective during matches. For example if your player is always late or just on time to practice, you will find they are the same off the court. This may seem like a trivial matter and simple to rectify, however you may find this tougher than you might think to effectively change the actual person’s habitual behaviors. Many coaches might use punishments in the gym, on the court or a fines system to change an athlete’s time keeping during practices and it may work! But this will probably only change their attitude towards their sport not how they operate in daily life, which is the most important change as they will start to be more professional and demand a higher level of their entire lives. These perceived to be small changes will have massive impact on a player’s every day life, which will serve as a platform to perform further changes in building belief. For example once a matter such as time keeping is under wraps you give your self the opportunity to use phrases such as “no body is working as effective and professional as you right now”. This will massage their ego but will actually start to get them to change what they value and essentially how they operate. Never underestimate the small changes and the platforms they open up for you to improve the person, which supports the development of the player. Do you have the belief in your players? Now I would like to discuss the second ingredient to a successful player “Belief”. Belief in your ability and physical attributes is much stronger than that of any 1RM squat or PB in a Yoyo test. Instilling the belief that the player is the fittest and most powerful player on the court and almost superhuman, can give the player that mental strength they require to apply all that hard work from the gym and on the track to the match court. Some players who don’t have that belief can find themselves powerless to putting their physical abilities onto the court. This can be the margin between winning and losing. People may be reading this thinking ok great but where do I start instilling belief? Firstly you get to know the person as discussed earlier then you need to make sure that as a team you are all singing from the same hymn sheet. Not just the coaching team, but the player’s whole support network: parents, siblings, girlfriend/wife, tennis coach, psychologist, physiotherapist. The list may be even longer for your player or team. You need to immerse yourself in the athletes whole life this is the only way to build trust with your athlete. If you’re the coach who is only there when you’re being paid then high performance sport is probably not for you. To enable you to know the “Beast” you are trying to mold you must understand how they tick. So if you can get the support team around the player to believe in them whole-heartedly then the athlete will begin to believe. If you are managing a player and a member of your team doesn’t whole-heartedly believe that this player is capable of amazing things then they can start to be a part of the problem. Therefore everyone needs to tow the line, know the goals, core values of the team and live them if they don’t its probably best you limit this person’s involvement in the team. A few helpful tips that I got from a fellow coach were to start altering the language you use around a player. For example; if you say “morning bud how are you?” this may give the player an opportunity to think too much about maybe a slightly disturbed sleep etc. We as a team changed this to “Morning champ looking strong today!” or Beautiful morning for winning isn’t it?”. This may seem extreme to some coaches but these small boosts in positive language start to rub off on the player and the whole team. Never underestimate the power of positivity!! However please don’t think for a second that you can instill belief in a player’s ability without them actually having some substance. So you have to make sure that the attributes of their game that you are trying to build belief or confidence in is actually there. So if your using language like “no one can outlast you on the court, you never miss a ball! !” but your player can’t last 3 sets playing 3 hours in 28 degrees heat, then your words will stop instilling belief and start to instill questions in your ability to see their strengths and weaknesses. In summary you must firstly coach the player not the athlete: players are complex and to get the best out of them you must know how they operate. Secondly build confidence and belief by taking your player’s best physical attribute and reinforce how good that attribute is!! Then finally immerse yourself in their life on and off the court, give them the opportunity to feel part of a family that values and believes in them. These are the two gems I found over my ten years of coaching that are not taught on any course or in any manual, but are what can separate a good coach from a great one. Today I had the pleasure of observing the latest Master Performance Coach (MPC) Award taking place at the National Tennis Centre. The highlight was getting some insights on what makes Andy Murray one of the best players in the world. 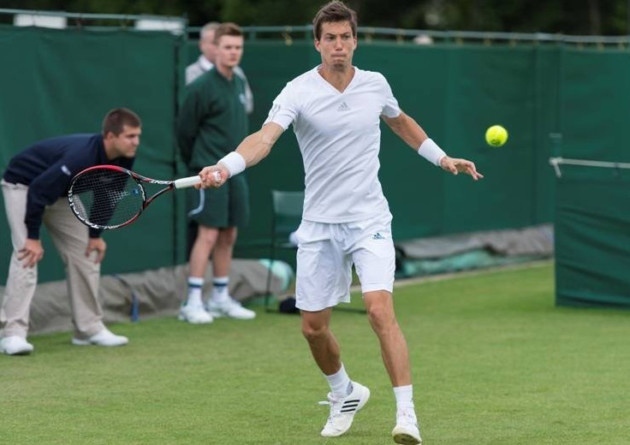 Since writing this block APA athlete Aljaz Bedene has been installed as the official British number 2, so stand by for some of our own insights from APA coach Martin Skinner on what makes Aljaz one of the best players in the world too!!! For those of you who aren’t familiar with the National coaching qualifications framework, the MPC is level 5 on the coaching ladder, which is the highest coaching award in Tennis. Included in the list of candidates were a number of ex professionals including Anne Keothavong and Mel South. So it was a great opportunity to get some insights from them and Emma Anderson, physiologist to the latest Davis Cup team versus USA, as well as Louis Cayer, Tennis coach to the Davis Cup team. I went along to sit in on the strength & conditioning module. There are approximately 8 modules on S&C that the tennis coaches will learn about during the duration of the qualification. Today I was there to listen about ‘energy system’ training. After a 5-minute warm-up the athlete did two short bursts of four pedal strokes to get ready, firstly at sub maximal and then at maximal effort. Then after a short rest they were asked to stay in the saddle and pedal flat out for 30-seconds. This test was designed to measure anaerobic capacity. Ema Anderson, the physiologist took us through a Wingate bike version using 6 x (7-seconds with 23-seconds rest). This gives you an idea of how much power they can hold on to and actually reproduce. This is very relevant to Tennis performance. Unfortunately it is a test which very few Tennis players have done at the NTC. Often the athlete and their coach aren’t willing to do a test like this fearing it will ruin their tennis training due to its high demand. I’ve written about the protocol they use at the NTC in a previous post which you can read HERE. To be honest, these kind of tests might not immediately tell you much about someone’s tennis fitness- ie., how well they cope with the demands of the game. Being efficient on the bike is different to the treadmill which is different to running on the tennis court. But it is so useful to know what kind of general condition someone is in before they step on the court. If someone is getting tired on court maybe it is as simple as they are not in shape ‘generally’ and have a low aerobic and anaerobic capacity as measured by the tests above. Or maybe they have a good capacity but have poor power because they can’t repeat it, and the anaerobic power tests would show that too. If you at least know this information about your player it can certainly help you rule certain things out if someone is struggling on court to meet the demands of the game. 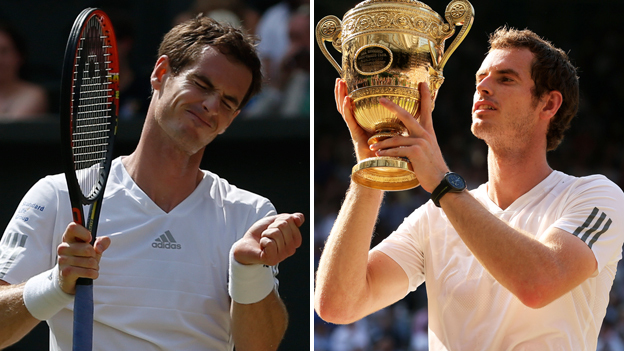 So what makes Andy Murray so much better than the rest? Louis Cayer commented that he was very surprised that Andy got his heart rate up to 180 bpm when rallying during training at the Davis Cup. At the same time one of the other younger squad members was at 160 bpm. Now you might conclude that the younger player was more conditioned. This is why you need to know your player and know your sport. Andy is most probably one of the most highly conditioned players on the Tour. Andy simply has an unrivalled work ethic and even during rallying will work his feet and body really hard to get in the perfect position, bending his knees and being quick with his adjustment steps. Unfortunately I don’t have a clip of this but here is a clip of another great role model, Kei Nishikori. This session isn’t necessarily of the intensity I am talking about here which would get his heart rate up to 180bpm, but he is someone who I imagine has a similar desire to work. When Louis Cayer showed the other player his heart rate (who was hitting with Andy) he started to work his legs more and move his feet and he too was able to get his heart rate up. What Andy has according to Ema is a desire to work hard during every practice. Despite being 6 or 7 years older than the younger players in the Davis Cup team he was as determined as ever to set the bench mark for the others to be judged against. The next group of British Tennis players looking to follow Andy into the Top 100 and possibly Top 50 would certainly do well to take note. Are they prepared to go somewhere that ‘hurts’ physically, embrace the grind, and if so are they good enough players to be able to keep the quality going over and over? Andy always had the natural talent for the game. Don’t believe me- one of my informants tells me Andy only played four hours of tennis per week until he was 15. You need to be pretty talented to win major junior titles if you only play four hours per week! But later in his development he trained his ability to out last his opponents with a desire to work hard in training. That’s one of the aspects to Andy’s character and ability that separates him from the rest. Train children like the pros? I definitely encourage Tennis coaches to use heart rate monitoring. It was certainly a great tool that can inform some really good discussions within the Tennis team. The group discussed whether children need to be training like this. Ema said it is important to remember that Andy has trained this tolerance over several years of working at this level of effort. He has 6 or 7 years training in the bank of this type as a pro working with a full-time fitness team which until recently was Jez Green and Matt Little. I personally like to keep my ace cards in my pocket for when I need them. Yes, it is important to expose the younger players to the demands of the game (as it is played at the pro level) by doing some pretty tough drilling. This way they have an understanding of how tough the game really is at the top level. But equally, you don’t need this to be the focus of training with younger athletes. You will find they need less stimulus and will still adapt physically. Also, this will enable them to execute their techniques optimally during the ‘skill hungry’ years, in the absence of lots of fatigue. This created some really good discussions and helped raise the coaches’ awareness to the actual physiological stress on the body. For the Alactic ATP-CP system, the group asked the player to hit four shots on the full run, and have 30-seconds rest between. The heart rate of the player consistently rose to about 85% -90% maximum heart rate during the recovery period. The player said they felt they hadn’t had enough time to recover in 30-seconds, so it became more of a speed endurance drill. It was suggested to either reduce the number of shots to 2 or give them longer rest up to a minute. For this drill the plan was to make the player run side to side for 1-minute with 30-seconds rest between. The time of 1-minute is a really interesting value because this represents the upper limit of the lactic acid system (usually around 20-60 seconds). So it really depends on how capable the player is in keeping high quality for 1-minute. If they can’t this will quickly become a poorly executed drill or the 1-minute will only be sustained if the intensity is dropped and the drill is done for aerobic work with maybe only 15-seconds recovery to keep heart rate up. The group wanted to do a continuous drill for 5 minutes in a three, with the person on their own hitting to two players on the other side for the full 5 minutes. My eye brows raised because I know that 2 vs. 1 is usually done as a Lactic Acid system drill, for 30-60 seconds at high intensity, and they rotate around so the work to rest ratio is 1:3. Not surprisingly the player’s heart rate quickly rose to 92% of their maximum and they stopped after 1-2 minutes and said that it was an unrealistic drill! Well I hope you found this blog interesting. I think it is vital that any performance coach has an appreciation of the effect of someone’s fitness level on their ability to perform on the court; and most importantly the effect of the drill on the player’s ability to perform on the court! Why the midthigh clean pull is all you need to develop power! This is the second part of my instalment on the presentations I listened to at the Middlesex Student S&C Conference a few weeks ago! I have written several times about Power. Check out this blog here. However, it is always great to hear people speak who are at the cutting edge of the research in strength and power development. So it was great to listen to this next session. Head of Sports Science Support for Salford City Reds Rugby League Football Club. 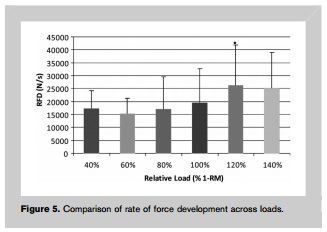 Paul took his through the findings of his research in the J Strength Cond Res 25(12): 3269–3273, 2011. This first study looked at variations of the Power Clean. 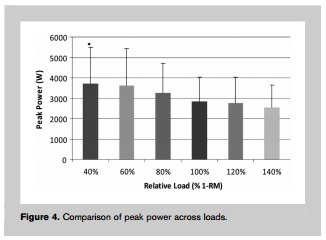 All variations were carried out at 60% of 1RM Power clean to determine force-velocity characteristics of each. The variations included power clean from the floor, a power clean from hang (low), and two versions from the mid-thigh hang (high). Other research was cited which notes time to peak RFD during midthigh clean pulls, at all loads (30, 60, 90, 120% of 1RM Power Clean) was shorter (Peak at 30% 1RM, 99.8 milliseconds) than time to peak RFD in both vertical jumps (194.7 milliseconds) and countermovement jumps (263.3 milliseconds). the use of mid thigh power clean variations to develop Force may assist with the development of sprint speed. mid thigh clean pull and mid thigh power clean have practical benefit in that both are easy for less experienced athletes to learn and require less technical excellence. during a strength-based Mesocycle, it is suggested that the midthigh clean pull be used because this can be performed at loads >100% 1RM power clean, because the catch phase is not required. 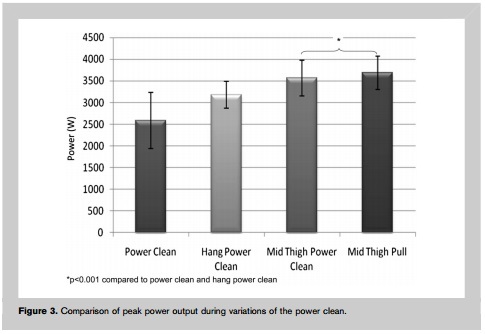 during a power-based Mesocycle, it is suggested that the midthigh power clean may be advantageous because it results in higher peak power output, peak Fz, and RFD compared with the other variations of the clean. Paul then took his through the findings of his second research study in the J Strength Cond Res 26(5): 1208–1214, 2012. 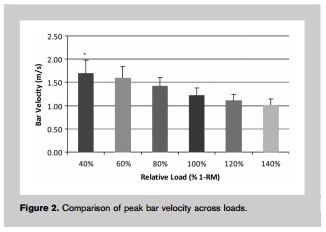 This study specifically looked at the force-velocity characteristics of the mid-thigh clean pull across a range of loads. Seeing as there is a lot of current interest in velocity based resistance training it was interesting to note the velocity associated with the mid thigh clean pull during peak power. According to Paul if you wanted to assess someone’s Power clean 1RM who can’t catch the bar it might be possible to use the weight which corresponds to approximately 1.25 m/s on the clean pull and use that as a guide to predict power clean 1RM! 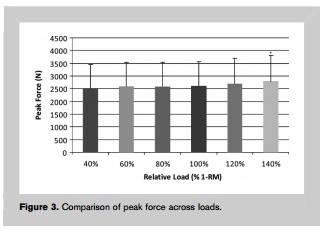 at 140% 1RM there is a 69% decrease in velocity, in contrast to only a 10.6% increase in Force! such exercises should be periodized to progress from max strength (Force) to peak power, in a sequential manner; therefore, it may be beneficial to begin at high loads (>100% 1RM) and progressively decrease loading to maximize velocity and power. Kawamori, N, Rossi, SJ, Justice, BD, Haff, EE, Pistilli, EE, O’Bryant, HS, Stone, MH, and Haff, GG. Peak force and rate of force development during isometric and dynamic mid-thigh clean pulls performed at various intensities. J Strength Cond Res 20: 483–491, 2006. Stone, MH, O’Bryant, HS, McCoy, L, Coglianese, R, Lehmkuhl, M, and Schilling, B. Power and maximum strength relationships during performance of dynamic and static weighted jumps. J Strength Cond Res 17: 140–147, 2003.
http://athleticperformanceacademy.co.uk/wp-content/uploads/2015/05/APA-Logo1-300x156.jpg 0 0 darren.drake http://athleticperformanceacademy.co.uk/wp-content/uploads/2015/05/APA-Logo1-300x156.jpg darren.drake2015-04-03 11:06:042015-04-03 11:06:04Why the midthigh clean pull is all you need to develop power!